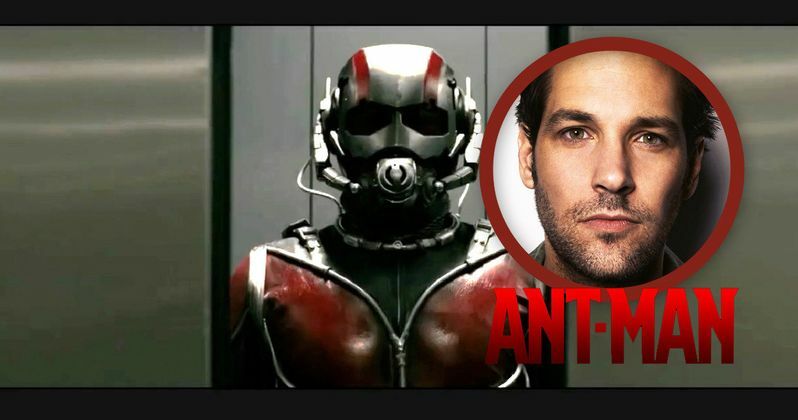 After months of speculation, Paul Rudd is in early talks to star as Hank Pym in Marvel's Ant-Man. The actor was one of the top two actors considered for the role, along with Joseph Gordon-Levitt, who has now turned his attention to the Sandman comic book adaptation. Paul Rudd was considered a more natural fit for the character, given his comedic sensibilities. Edgar Wright is directing from a screenplay he co-wrote with Joe Cornish, based on the Marvel comic book character created by Jack Kirby. No production schedule was given for this highly-anticipated comic book adaptation. The story follows Hank Pym, a scientist who invents a substance that allows him to shrink to the size of an ant and communicate with insects. The project will be the first of Marvel's Phase Three slate of movies. Representatives for Marvel and Paul Rudd had no comment.